I know you are probably wondering, “what’s the difference between horns and antlers and why does it matter?” After all, both horns and antlers grow on the heads of ungulates and serve similar uses. However, they are both very different in composition and shape. 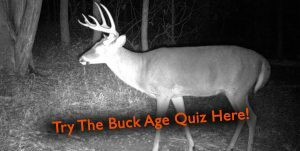 In this article I will give a brief overview of the structural and apparent differences between horn and antlers and explain why it’s important that we as hunters refer to the correctly. The first difference between horns and antlers come in their chemical composition. Horns are permanent structures composed of bone and keratin, the same material that hair and fingernails are made of. Antlers on the other hand are deciduous structures composed of calcified bone, just like any other bone in the body. Horns have a permanent living core that is part of the skull and from which new horn is grown, the outside is a sheath of keratin that grows as the animal ages. Antlers have a core of porous bone with thicker solid bone around the outside and they attach to the deer’s head right below the burr, at the pedicle. Horns are shaped conically with fat bases that taper and curve to the ends. The shape of horns vary greatly among species from short horns on mountain goats to large curled horns on desert bighorn sheep. Antlers, on the other hand, are branched with bases not much larger than the antler circumference throughout. Antlers also vary with species from the large multi-branched antlers of moose to the tiny spikes found on South American Pudú. Obviously the most notable difference between these two structures is the lifetime of their use. Horns are permanent structures that grow continually throughout the lifetime of the animal. In fact, many species can be aged by the consecutive growth rings visible on the outside of their horns. Antlers calcify into bone, shed velvet, and are shed annually. Obviously there are huge differences between these two types of head gear! Both males and females of horned species will typically grow horns and only males of antlered species will grow antlers. However, one exception is caribou, in which males and females will both grow antlers. Horns are largely found in the Bovidae (cattle, sheep, goats) family and antlers in the Cervidae (deer). However, there is another family of ungulates in North America, the Antilocapridae (pronghorn) family. Pronghorn are the only species in this family and have very unique horns. Pronghorn are the only species to have partially deciduous horns, meaning that they shed part of their horns annually. Every year the outer keratinized layer of their horns are shed and grow back. As hunters we love learning about the animals we pursue both through our outings in the woods and through science learned from reading and other sources. By now we should all understand that deer have antlers and we should not be calling them horns. Many people will say that this is a moot point that doesn’t matter- after all, this is just how we talk, right? I personally disagree. I believe that we owe it to the animals we pursue to understand all we can about them and use this knowledge to influence our language and interactions with the species. The use of wrong language when referring to an animal we all claim to care so deeply about appears extremely ignorant at best! To the non-hunting public this could make hunters as a whole appear uneducated, and our appearance to non-hunters matters. So, give deer the respect they deserve and call those white pointy things on their heads antlers! They don’t even look like horns! Hopefully this has taught you about the physical and morphological differences between horns and antlers. They are both incredible structures that never cease to amaze me when I consider what animals go through to grow these appendages. So, the next time you are talking to your buddies about that buck you are chasing, try using the correct language and refer to his headgear as antlers, since deer do not have horns!